The guys over at Mammuth Works sent in some links and information to LSN the other day about their 1/3 scale RC truck project. This was the first time I had ever heard of this truck project and I was happy to learn more. I browsed around their site, checked out pictures and watched the videos. This is one cool project and we hope to keep our readers informed of its progress as they move forward. They were nice enough to give us an updates on the project which I have posted below. Get ready to be blow away. New promo video and new website. Things are looking good! – follow the sensors values: fuel level, voltage, G-forces, compass, GPS, RPM, speed, etc. – you can create your own Rewarron, custom materials, colors, accessories, chassis, wheels, anything you want! Prices have been posted. Looks like its going to take $15,000 or $30,000 to get behind the remote of one of these trucks. More details about what your hard earned money will get you HERE. Recently, we put together the car as much as possible. Structurally, the car is almost finished. We need to test several custom made components in the next couple of weeks (brakes, differential, steering, suspension, control system). The car is absolutely custom built from scratch. We used only quad wheels and engine (110ccm, 4 stroke). In September we try to make a short commercial about it and try to spread it around the net. The car then will be available for pre-order. There will be no series production, only unique orders, where the customer can make some changes on his car (color, accessories like lamps, spare wheels, etc. The car could also be driven by any kind of tablet/ smart phone from it’s application. We just finished the chassis decals and painting and brought it out for a small photoshoot. I attach some images from this event, but we would like to ask you, that this post should be visible on 20th august. Because we organized a small event on our facebook page (https://www.facebook.com/pages/Project-Mammuth-The-second/164130126967997), where the car will be showcased for the public. We will upload a gallery and a new video at that time as well. TeamChase RC Club Race Series 2013 – BE THERE! 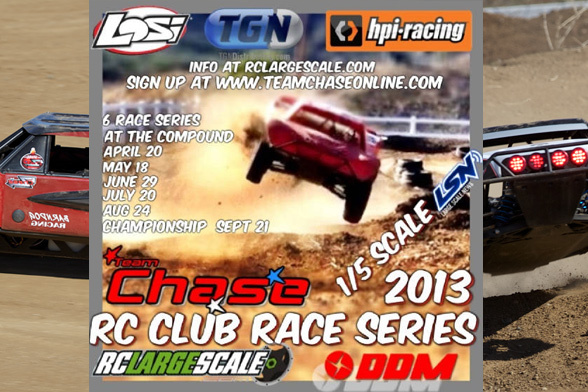 TeamChase RC Club Race Series 2013 is here! We are only days away from the first 2013 event at the TeamChase Compound April 20th. The hype has already started and it’s looking to be a GREAT turnout as always at this great facility. Not only has the track been completely changed but a lot of facility improvements have been made. To keep up to date on these improvements and all things TeamChase follow their facebook HERE! For pics and video and event coverage from the past events at TeamChase Compound, browse our image gallery HERE or just put TeamChase into the LSN search box. Author Posted on April 12, 2013 Leave a comment on TeamChase RC Club Race Series 2013 – BE THERE! Dual Motor Losi 5IVE-T – Serious Brushless Power! Check out this custom project by our friends Byron and Kavi. We were told of this crazy idea they had a while back and the first video is now finally available to the public. This is just the first of many to come so stay tuned here on LSN for up to date video releases and information on their build. 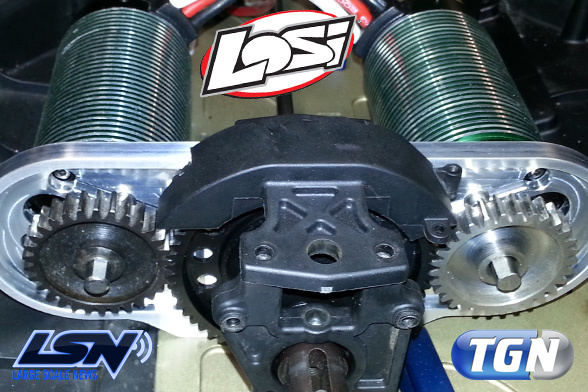 This Brushless Twin Motor Losi 5IVE-T is sure to hit some serious top speeds here this summer. Below are some details of the project. Watch the video down below. 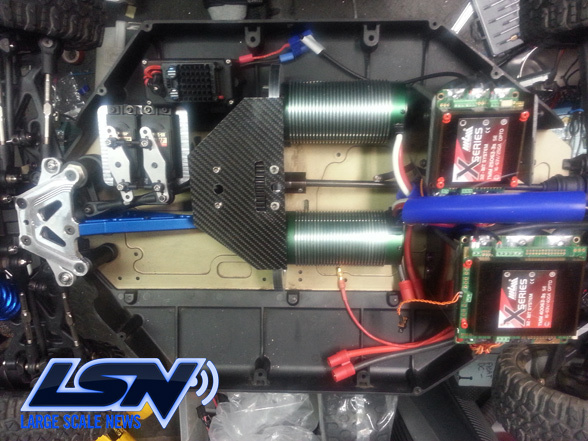 Author Posted on April 12, 2013 Leave a comment on Dual Motor Losi 5IVE-T – Serious Brushless Power!